Size: 9 3/4" x 11 1/2"
At the foot of Mount Ararat, on the crossroads of the eastern and western worlds, medieval Armenians dominated international trading routes that reached from Europe to China and India to Russia. As the first people to convert officially to Christianity, they commissioned and produced some of the most extraordinary religious objects of the Middle Ages. 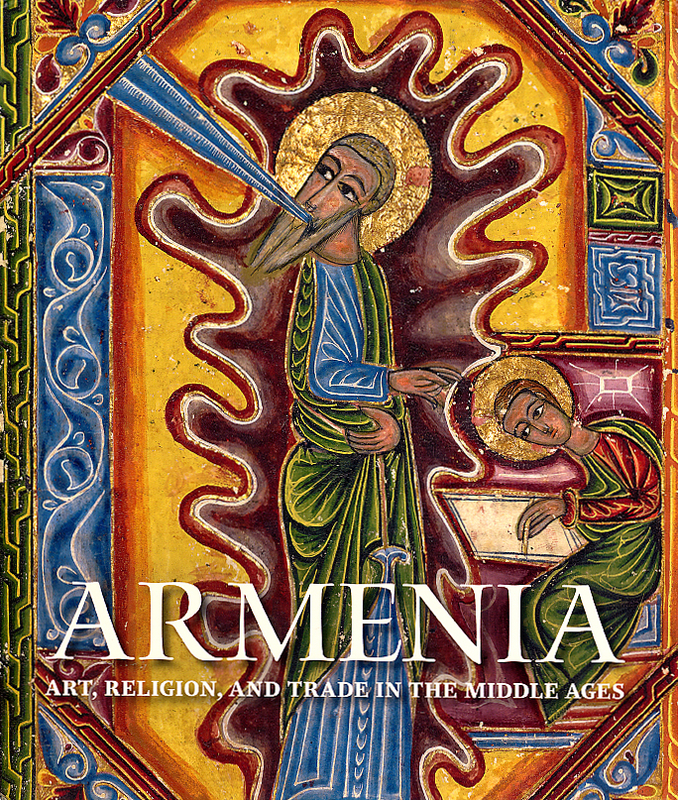 These objects—from sumptuous illuminated manuscripts to handsome carvings, liturgical furnishings, gilded reliquaries, exquisite textiles, and printed books—show the strong persistence of their own cultural identity, as well as the multicultural influences of Armenia's interactions with Romans, Byzantines, Persians, Muslims, Mongols, Ottomans, and Europeans. 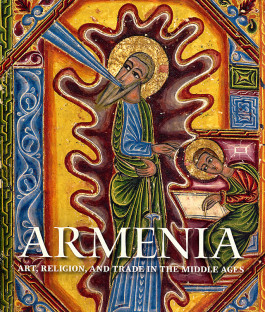 This unprecedented volume, written by a team of international scholars and members of the Armenian religious community, contextualizes and celebrates the compelling works of art that define Armenian medieval culture. It features breathtaking photographs of archaeological sites and stunning churches and monasteries that help fill out this unique history. With groundbreaking essays and exquisite illustrations, Armenia illuminates the singular achievements of a great medieval civilization.